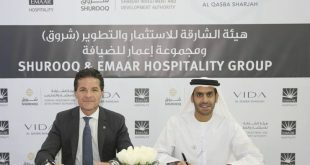 Sharjah Investment and Development Authority (Shurooq) has partnered with Dubai’s Emaar Properties and Abu Dhabi real-estate developer Eagle Hills to establish Omran Properties, which will develop commercial, industrial and real estate projects in Sharjah and beyond. 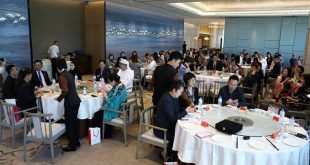 Sharjah’s real estate market has seen a transformation with the recent construction of large-scale master planned developments and changes to laws allowing foreigners to purchase 100 year leasehold properties. Sharjah’s real estate sector has strengthened over the last five years, whilst prices have remained competitive with neighbouring emirates. 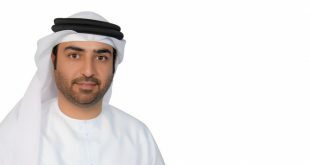 New property laws allowing foreign ownership have given the market a boost, with residential, commercial and industrial property being made available for sale to GCC nationals or long-term lease-hold to foreign expatriates. Meanwhile, the development sector has been supported by a massive development drive by Sharjah Department of Public Works to develop Sharjah’s public infrastructure. Real estate and business services account for about 20 percent of Sharjah’s economy. Under the memorandum of understanding (MoU) signed this week, Omran Properites will be headquartered in Sharjah. Shurooq will own 34 percent of the new company’s capital, while Emaar and Eagle Hills own 33 percent each. In addiiton to driving investment, commercial, industrial and real estate projects in Sharjah, the company will also establish new companies from time to time in order to achieve its goals. One of the largest real estate developers in the Arab world, Emaar has ongoing projects in Africa, Asia, North America and the Middle East and is known for developing large scale residential and mixed-use projects. Emaar’s most famous developments are Burj Khalifa, the tallest building in the world, and Dubai Mall, the largest shopping mall in the world. The formation of Omran Properites will mark Emaar’s first foray into Sharjah’s real estate market. Eagle Hills was established in 2014 to create developments for urban centres globally. The company currently has projects in Bahrain, Jordan, Morocco, Nigeria and Serbia. Established in by Emiri Decree in 2009, Shurooq is the driving force behind the transformation of Sharjah into an investment, tourist and business destination. The authority’s current projects include economic initiatives, urban developments, tourism and leisure destinations, eco-tourism resorts, business destinations, historic restoration and archaeological sites. 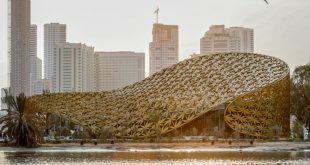 Sharjah city is ranked as one of the top ten small and mid-sized cities lists for Economic Potential, Human Capital and Lifestyle, Cost Effectiveness, Connectivity and Business Friendliness fDI intelligence (a division of the Financial Times) in its 2014/2015 Global Cities of the Future report.